The company that owns and maintains London’s fire engines is recruiting British firefighter instructors to train the military in the United Arab Emirates. 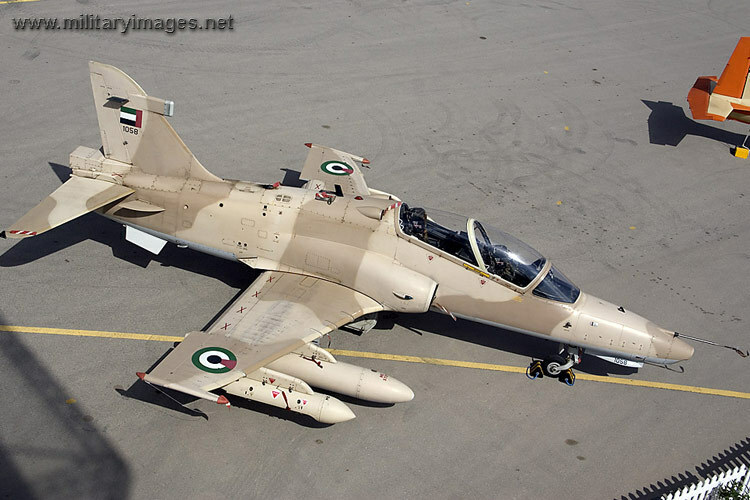 UAE jet fighters are also preparing to join the coalition of the willing against Colonel Gaddafi in Libya. They are planning to send 12 fighters and are blaming their civil unrest on the Iranians. AssetCo, the troubled fire privatisation company, is hoping to get £40m out of a £120m deal with the Gulf State’s armed forces to boost its profitability. It has been facing severe problems in Britain, including having to raise £26m from investors and through a share placing. Revenue and Customs has issued a winding up order against AssetCo seeking at least £4m and they have to pay off a debt to the state-owned Lloyds TSB. The deal was one of the last negotiated by former chief executive, John Shannon, before he resigned after a huge row with the rest of directors over the share placing. Matt Wrack, general secretary of the FBU, has written to David Cameron, to protest about the deal. He said: ” The clampdown in Bahrain has resulted in a significant number of protestors being killed. The clampdown, including martial law, is supported by armed forces from Saudi Arabia and from the UAE. … I hope you will make it clear that it is not acceptable for them to take British public money, and also to assist the armed forces of the UAE … I hope you will insist that any company which takes on such work in future, does not also undertake work for military clients involved in the suppression of democracy. It seems extraordinary to me that a foundering British company is poised to make millions out of Middle East misery and recruit desperate British people to do it. This entry was posted in Uncategorized and tagged bahrain, Fire Brigades Union, london fire authority, united arab emirates. Bookmark the permalink. Another spot on story that mysteriously slipped under the radar of the mainstream press. Interesting how this article PICKS OUT ASSETCO in terms of the Bahrain troubles and doesn’t focus on the positive spin of Libya above, i do love a sensationalist bias journalist! David When you get the facts, i’ll look forward to reading them. The point about mentioning Gadaffi ironically was to put some balance in the piece. But there are two key facts: UAE has already sent 500 military police into Bahrain, it has unlike Qatar not sent any military jets against Gadaffi. As for the sensationalist bit, I take my stuff for this article from the Sunday Telegraph, a paper that has high journalistic standards, and not known for exaggerating foreign reporting. I even write for it occasionally myself. Removing my fair sided comment just adds to my thoughts that you are looking for sensationalism. Can you tell me David, where the democracy is in that action. My original comment stated that this journalist is not reporting full facts, he is merely trying to maim an already wounded AIM company. As reported in my previous removed comment, it would be worth reading this article for a more well balanced perspective of the facts, instead of one article that is here merely to shoot down a public listed company. Mr Hencke’s article briefly mentions Libya “UAE jet fighters are also preparing to join the coalition of the willing against Colonel Gaddafi in Libya.” – never have a read such a one-sided article. I am puzzled by your point I put up your comment unedited and with full approval as i normally do unless there is something very rude and offensive. As for AssetCo you are right that I am looking at them very carefully..partly because I think AssetCo companies are likely to become more common as the government sells everything off. So far the founders seem to have taken huge sums of money, avoided paying large sums of legitimate tax ( hence the Revenue going for them in a winding up order) and diluted the shares in desperate move to save themselves. As that is without going into the details of London fire contract.. which would allow AssetCo employed firefighters NOT to rescue people in burning buildings if it is a risk to their lives (unlike the properly trained London firefighters). Real profit before public service. The thrust of ‘oz1970’s (what a shame he cannot find the courage to use his real name) argument is that any criticism AssetCo attracts for aiding a brutal military clampdown in Bahrain ought to be offset by praise for its indirectly aiding the rebels in Libya. I don’t care if the chief executive of AssetCo is a churchgoing, philanthopic paragon of saintliness (which he isn’t, by the way) who looks after his old mum wonderfully; the fact is he and his mates are aiding and abetting a brutal dictatorship who are cutting down people fighting for democracy and human rights. If the sheer incompetence of AssetCo (of which, as a firefighter and FBU official, I have first-hand experience) were not enought to persuade the London Fire Brigade to cut them adrift, then this latest development certainly should be. You need to get your facts right before perusing a smear campaign. Firstly, we do not support the UAE Air Force at all, we support the royal family. We are well paid, by having spent many many years serving my country in the military, serving in some of the worst places anyone would want to go for a government who has to lie about WoMD to be in a war in the first place. Upon leaving our military I fell on hard times and struggled to provide for my family. For me, this is a job to provide for my family. If the FBU are successful in having AssetCo dissolved, are they going to provide for my family, no I don’t think so. All it will achieve is putting a lot of people out of a job and British families back below the breadline. They need to get over the comments that AssetCo made, dry their eyes and man up. Hi I am afraid you are quite wrong to think it was the FBU that brought AssetCo to near bankruptcy. They did it by themselves and through actions taken by their former boss, John Shannon, who stripped the company to the point that it was £140m in debt and was only saved by its creditors agreeing to take a 78 per cent hit on their investments.Even now it shares are suspended on the London stock exchange and it still cannot produce properly audited accounts for its last year of trading. The FBU’s worries were totally legitimate as they thought it could end up with London not having proper fire cover which would have been a disaster for the capital. One man caused a problem and he has now gone. Don’t you think the people left who are trying to fix his mess deserve a chance. It’s not the fault of the workers but that of mr Shannon. We deserve the right to work and provide for our families. We have no control over the board. All I am trying to do is earn and honest wage for my wife and children, as I am sure many thousands of firefighters in the uk are also doing. The board members have their big houses, flash cars and enough money to retire on, we the employees don’t. By continuing this vendetta, you risk putting us all out of work. If AssetCo did go busy, the government would have had to step in and provide funds to keep LFB operational as it did for RBS your jobs were pretty much safe as the government would not leave London with no fire brigade. My job is not safe so long as the FBU Pursue these actions and keep trying to liquidate AssetCo. I neither agree nor disagree with either side, all I am interested in is my job. I appeal to the FBU to stop as all I want to do is work. I can see where you are coming from – but I am rather curious why you think you will lose your job in UAE. The structure of the still suspended AssetCo has been changed to ensure they don’t risk the wrath of your Royal rulers in the UAE by safeguarding this side of the business even if London and Lincolnshire end up being sold off. The curious sityuation is that nothing has moved since this was agreef in September – and the only people holding thsi up are the prese4nt [people running the company who seem to have failed to convince the stock excgange that the bsuiness is sound.